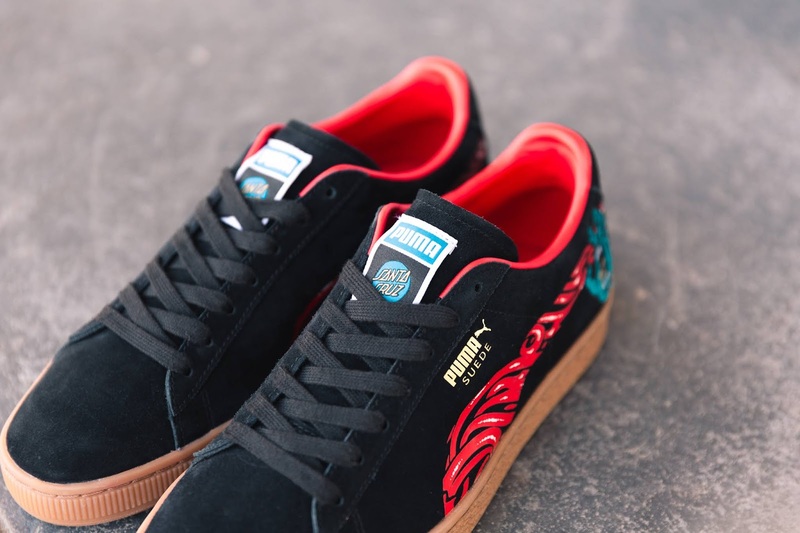 PUMA continues to celebrate 50 years of Suede excellence by rolling with Northern Cali natives and skate culture icons Santa Cruz Skateboards in the latest of epic anniversary collaborations. The Suede, like Santa Cruz, is a skateboard icon #ForAllTime. The two come together for a sneaker and tee pack to make fans flip. 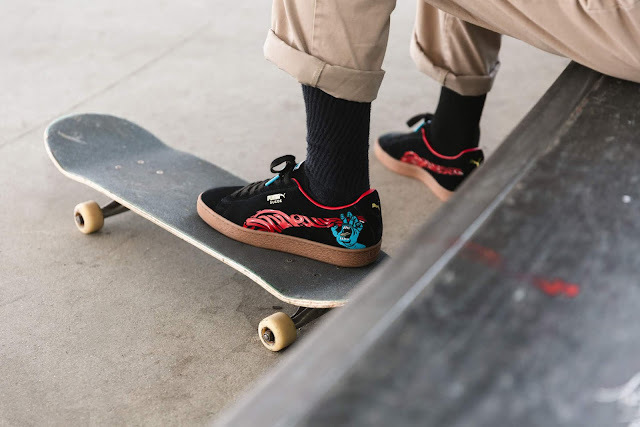 Known as the oldest skate brand that hasn’t stopped production since its beginnings, Santa Cruz was founded in 1973 by surfers Rich Novak, Doug Haut and Jay Shuirman in Santa Cruz, CA. The brand gained worldwide buzz thanks to its rad designs and loud graphics. The Screaming Hand is embroidered on the side of each heel, the blue hand against the black suede upper. The Formstrip becomes the scream, a wave of red sound and adrenaline. The artwork is enveloped in a lush black suede upper atop a gumsole. The PUMA and Santa Cruz logo is featured on the sneaker tongue. Complementing the sneaker is the PUMA x Santa Cruz Tee, making it a highly collectible pack. Get your hands on the PUMA Suede 50 x Santa Cruz (R2 499) and Tee (R699) at PUMA SELECT and selected retailers on 26th July.